This is our USA website. 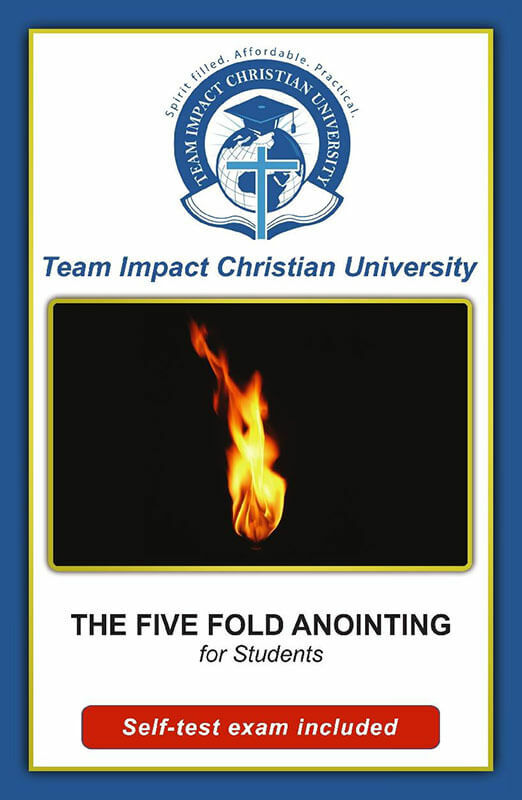 The Five-Fold Anointing is included in our course material. We encourage our students to build a relationship with the Holy Spirit. If you are looking for a Christian University that offers Spirit-anointed courses at all levels then Team Impact Christian University is for you! Complete your University Degree ONLINE!! You can also attend our campus in Baton Rouge. Our Bible College courses are Spirit-anointed and are available in PRINT or DOWNLOADABLE digital format. It is the MISSION of Team Impact Christian University to raise up Spirit-anointed leaders who disciple nations. 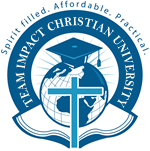 It is the PURPOSE of Team Impact Christian University to “To edify the body of Christ, to equip God’s people for the work of the ministry, to unite in faith, to grow in quality, quantity, stability and integrity so that the whole body is healthy and growing and full of love.” (Ephesians 4 V 11 – 16). Whether you are searching for a Bible College, Christian University, Theological Seminary or Christian College - you have come to the right place! Team Impact Christian University is an accredited online Christian learning facility that caters for all levels of anointed Christian study.